"Pediatrician recommended and loved by moms everywhere, our Gripe Water was the very first in the US. Our founder, Roshan, created the all-natural formula almost 20 years ago, and we never get tired of hearing stories of how it makes life sweeter for mom and baby. HERBAL REMEDY - Containing organic ginger and natural fennel flavor, our no. 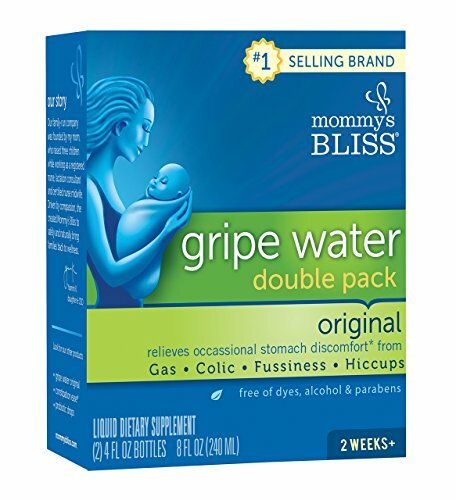 1 selling gripe water is there for mothers with babies suffering from stomach discomfort, teething and general fussiness. If you have any questions about this product by Mommy's Bliss, contact us by completing and submitting the form below. If you are looking for a specif part number, please include it with your message.